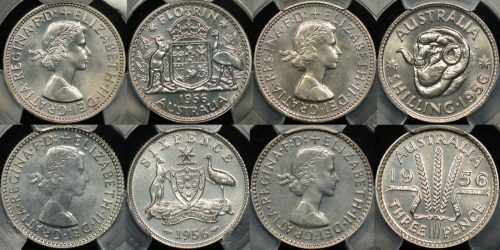 The various branches of the Royal Mint struck proof coins throughout the period of pre-decimal coinage. 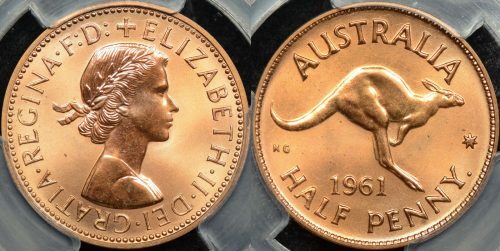 However, proof coins should really be split into the era pre-1955 and that ranging from 1955 to 1963. 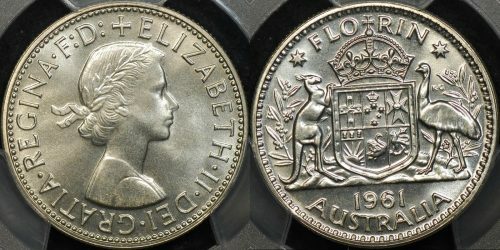 Prior to 1955 proofs were largely struck on ad-hoc basis, with some years have one or two proofs struck, some none, and some several dozen. 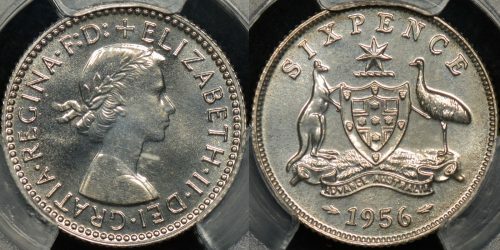 Because of this any proof coin dated earlier than 1955 is by definition, a rare and valuable coin. 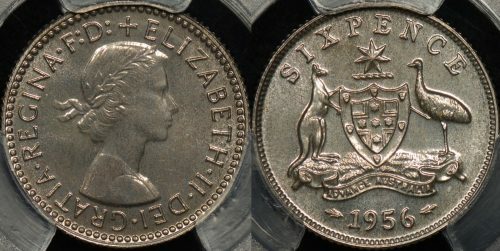 From 1955 to 1963 the branch mints in Melbourne and Perth struck proof coinage specifically for the collector market. 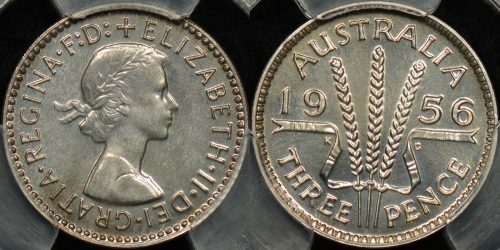 Mintages ranged from 300 to slightly more than 5,000. 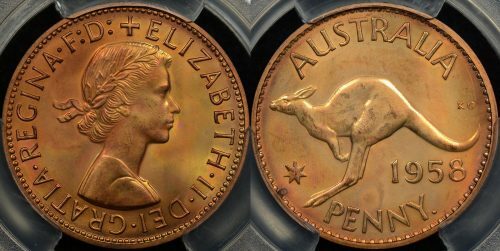 Because of this 1955+ proof coins are much more readily available and affordable with 1955 and 1956 Perth struck pennies being notable exceptions. 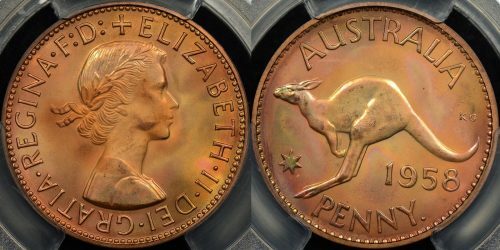 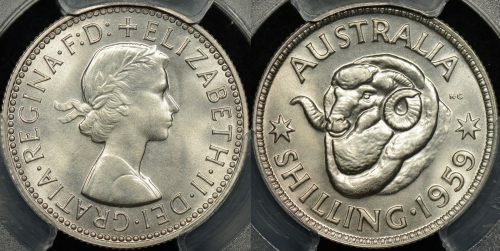 Collectors should look for Australian proof coins with original surfaces and for bronze coins as much remaining mint red as possible. 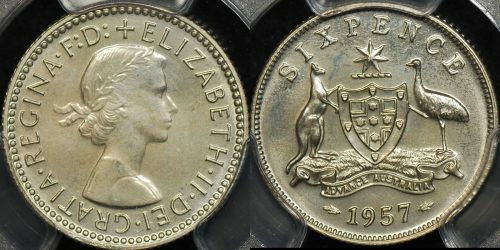 If available spot free coins should be chosen in preference to those with the pox! 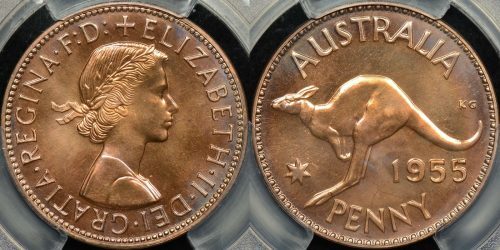 As always, PCGS grading helps assure you that a proof coin actually is a proof, gives you a great idea of the quality of the coin, and helps protect your proof coin from mechanical damage.